Recently I did a review on all 3 of the original Bourne movies, and even threw in The Bourne Legacy because I apparently like cinematic torture. Yeah, that one was pretty awful. The original three films with Matt Damon as the titular character are, on the other hand, some of the greatest action films ever made, with The Bourne Ultimatum ranking up there with the best of the best. When the trailer was revealed for Jason Bourne, with Matt Damon and director Paul Greengrass returning, I became as giddy as a school girl. There was a lot of hype around this movie, and it doesn’t quite seem to be fully living up to it. I may be biased in my opinion, but I honestly thought this was a pretty great thrill ride. All Jason Bourne (Matt Damon) has ever wanted is to be left alone. After the events of the original trilogy, Bourne is laying low and making a life as a fighter in underground fighting rings. For 10 years, he has been living under the radar until Nicky Parsons (Julia Stiles) finds him and warns him of a new program the government has started called Operation Iron Hand and also reveals she has new information concerning Bourne’s father’s connection with Treadstone. 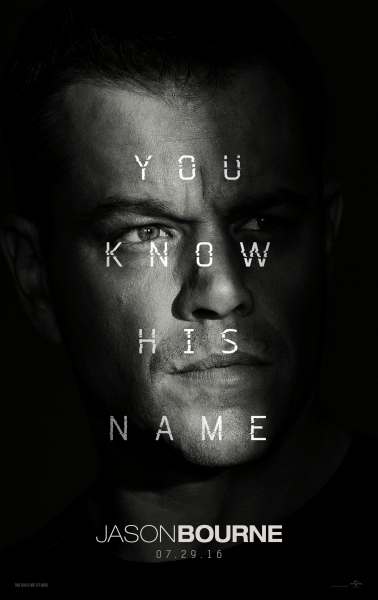 The idea of learning more about why Bourne became part of the clandestine organization sends him back into the world he’s been trying to get away from. Hot on his tail are CIA bigwigs Heather Lee (Alicia Vikander), Director Robert Dewey (Tommy Lee Jones), and an assassin known only as the Asset (Vincent Cassel). This worldwide chase leads Bourne on a trail of clues that uncover more conspiracies and lies that ultimately ended with his mind becoming what it is today, and he wants revenge not only for himself, but for his father. I should start by something that may come as a shock to hear, especially coming from someone like me who absolutely loves the Bourne trilogy. Jason Bourne didn’t really have to be made. They wrapped the story up pretty well in The Bourne Ultimatum, and it could have realistically been left at that. We live in a world, however, where sequels have become the norm and since this movie does exist, I whole heartedly welcome it. That being said, it doesn’t quite reach the heights of its predecessors. Jason knows who he is now, and by this point it kind of just felt like they were searching for anything that could possibly bring him back into the world of spies and espionage. For this one, we have conspiracies surrounding a social media network that the government wants to tap into and exploit, while also the plot about Jason’s father’s involvement in Treadstone and why they were surveilling him. This doesn’t make for the most interesting storyline, but there is plenty packed into the movie to make up for its missteps in terms of creating a highly captivating story. The best thing about Jason Bourne is the action. I honestly can’t stress enough how awesome every action scene was. The first one that really hit me was a motorcycle chase through a riot in Greece. Not only was this a unique environment for a chase to happen, but it was shot so beautifully. This is a really nice looking movie, and that credit goes to how well Paul Greengrass can capture a movie like this, in an almost documentary style way. There’s also plenty of great fist fights that have become a staple in this series. 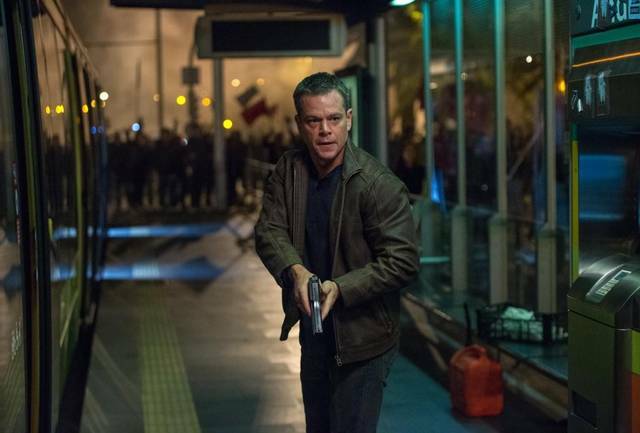 Part of the fun of these movies is seeing the new ways that Bourne can disarm and take down an enemy. These scenes are relentless. The highlight of this movie, however, is a car chase that takes place through the busy streets of Las Vegas. I kid you not when I say that this car chase is one of the coolest parts of this entire series and is hands down the best car chase in any Bourne movie. Something I’ve heard complaints about is the story involving a social media tycoon (played by Riz Ahmed) and his involvements with the CIA in a sort of Edward Snowden, NSA spying on people sort of thing. I didn’t have a problem with this one bit, and I even think it added a little something to the story. I really like how these movies always made me feel like stuff like what was in the movie was definitely happening, and part of that success was how the media was handled in the stories. This is a Bourne movie that takes place in a time where social media is a main source of news, and this is also a time where the government is taking advantage of platforms like this. Jason Bourne fits in very well with the time and uses this conspiracy and paranoia to help better the story. Jason Bourne may not live up to some of the heights of its predecessors in some regards, but as a whole I think it stands up very well with the other movies in this series. The action is some of the best you’ll see all year, the performances are all pitch perfect, and it’s just awesome to see this character back doing what he does best. This is a quick paced thrill ride that has its share of flaws, but more than makes up for them which means I definitely recommend this film to any fans of the Bourne series.